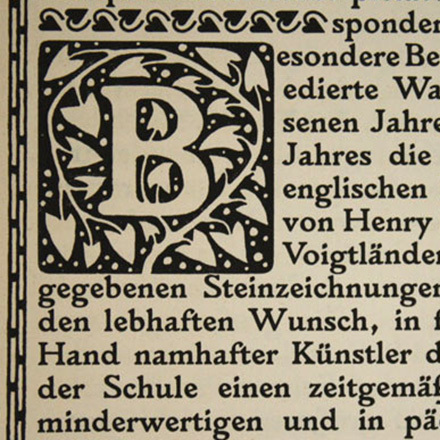 Designed in 1903 by Rudolf von Larisch as an exclusive typeface for the k.k. Hof- und Staatsdruckerei, Vienna, Austria. Revived as Larish Alte .